James Corbett looks into the controversy surrounding Sibel Edmonds, Vanessa Beeley and Eva Bartlett regarding their reporting on the Syrian conflict. He fact checks Newsbud's recent Syria Under Siege video and comes to some unfortunate conclusions. "Military Intervention is never the answer." I find it hard to believe that she would. The thoroughness of the links, and the fact I've never heard of 21st Century Press makes me wonder 'Hit Job'? When I reach an opinion on the opinions, I'll so note it. What petty nonsense from Newsbud. Sad. I once respected Sibel Edmonds for her whistle-blowing actions. I've now lost all respect for her and her work. My subscription to Newsbud's content will be canceled immediately. She should be ashamed of herself for such shameful behavior. Eva Bartlett and Vanessa Beeley are tireless voices supporting Syria, Palestine and many other places being subjected to American imperial destruction. They are to be commended, not attacked. beau Yeah, like you I have also respected her whistleblower actions and read her books. The hit piece video they put together against Bartlett and Beeley was really a underhanded hitpiece very much like MSM, with context left out, false virtue signalling and just pure smear. What is worse is that Sibel Edmonds in the video, calls for the thought police to stamp out dissenters and critical thinkers, of course camouflaged as weeding out fake news. Corbett did well to expose Sibel and Newsbud and distance himself from them. Yes, as Corbett shows, this was a sloppy hit piece from Edmonds. And she had my trust before this. I even posted the video on FB before seeing it myself. Stupid behavior from my side. I am as baffled as James Corbett is about Sibyl. Attack can occur from anywhere, anytime..
Interestingly, at the end of his video, Corbett decides he will stop twittering for the inherent escalatory negativeness of it. It makes me rethink about commenting, the style and merit of it. Wow , james some of the best work you did was with sibel sorry to see you go man. As far as all this goes, its too bad but have been watching sibel forever I forget who or how i learn of her but it was a breath of fresh air away from MSM. i m not too familiar with the other 2, but guess it's what audience is played to, some audiences like the fanfare and special effects, other audiences want hard data with back up support. Social media in general is largely filled 90% with bogus info, with twitter wars being among t he most reasons i don't bother except to get the national and international news. I check for local news with an aler t. Most news cannot be trusted for accuracy whether it's independent or MSM Sibel's is among one of the alternative media i have read since the Boiling Frog Days, she managed to pave the way for other alternative media. 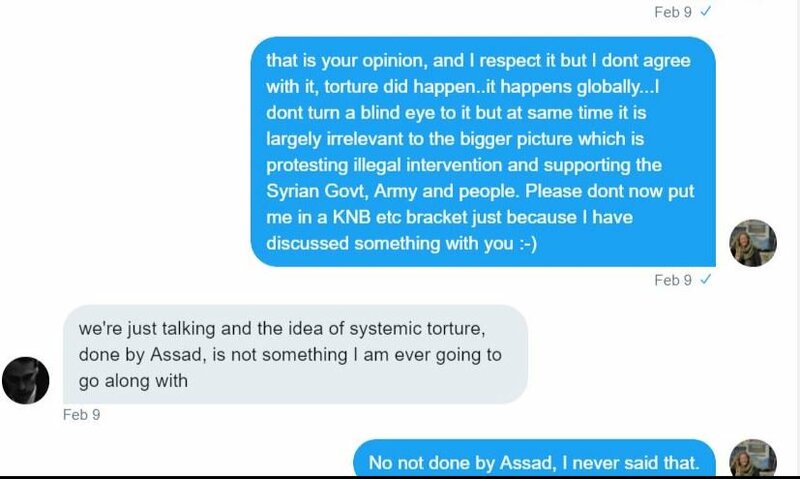 SyrianLion Sibel may have "paved the way" for alternative media in your eyes, but now she's burning every bridge in this nonsensical crusade. As far as "playing to the audience", you should really become familiar with Eva and Vanessa's work as they are about the opposite of "fanfare and special effects" as an investigative journalist could get.